Our March catalog kicked off spring a few weeks early today. 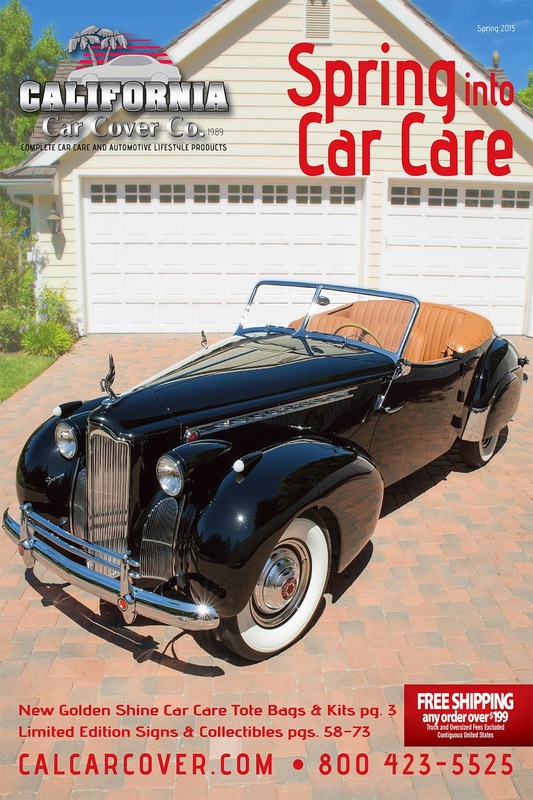 The latest California Car Cover car care and accessories guide features many new products for the automobile enthusiast. 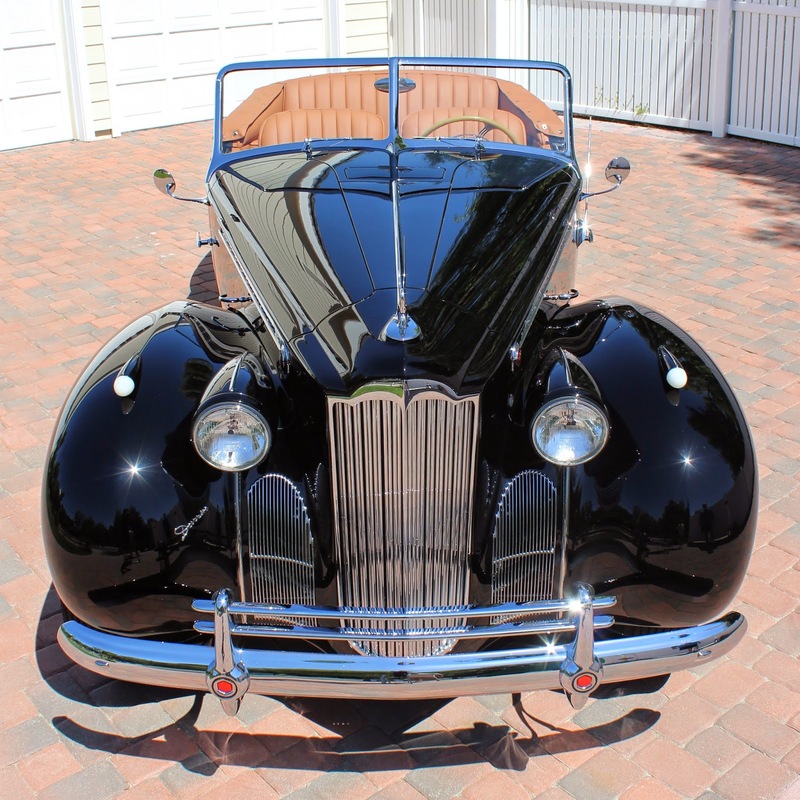 Highlighting the latest catalog is the rare 1940 Packard Super 8 Darrin Convertible. 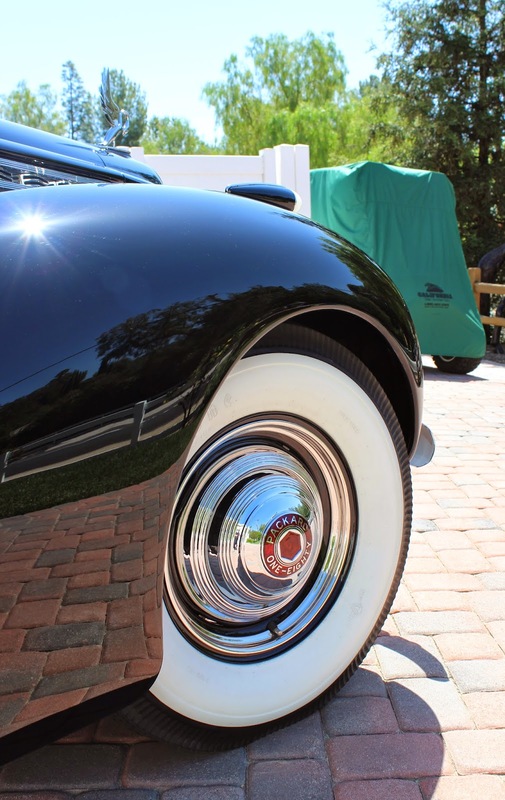 This pristine classic is owned by longtime California Car Cover customers Rob & Linda Raznick of Calabasas, Ca. You might recall that we featured a few of Rob & Linda's other classics on a past catalog cover. 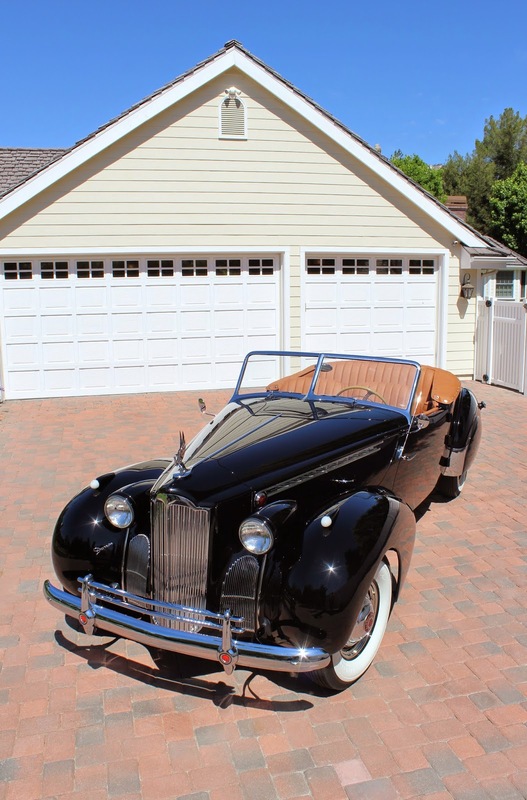 This rare Packard was #42 of 44 ever produced. It has all matching serial numbers and the original sales receipt. 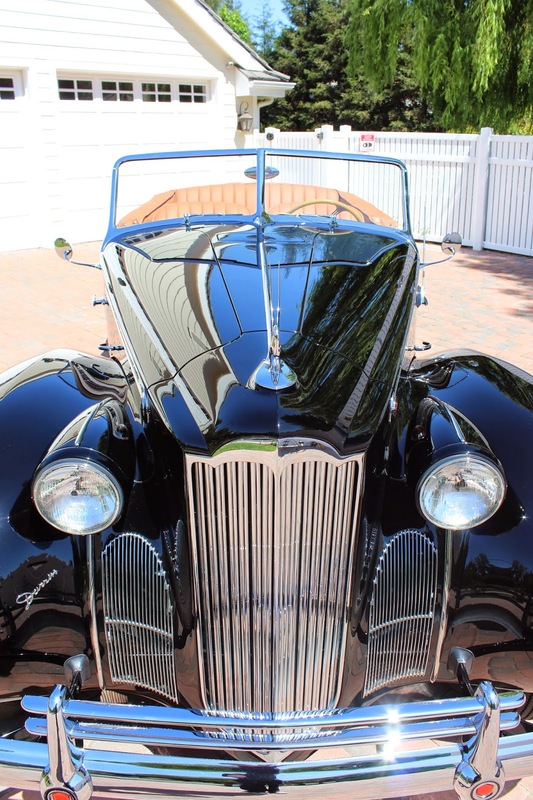 The car was in very good condition when Rob acquired it, but he decided to fully restore the automobile to its original condition. 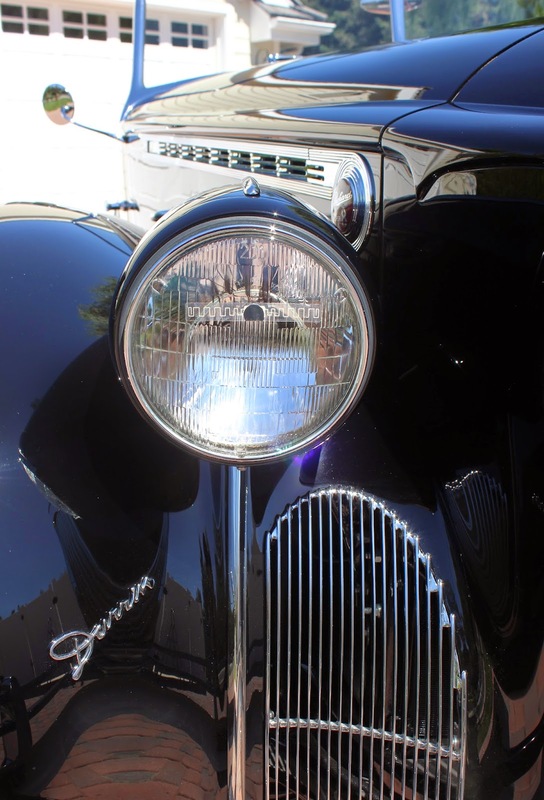 Tony Castellano of Palmdale, Ca completely restored the vehicle. 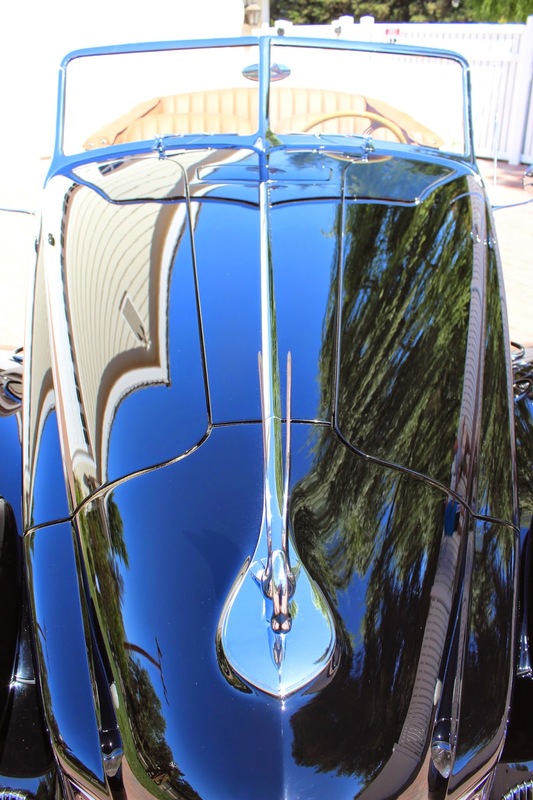 Tony and Rob did an excellent job of making the Packard look beautiful, because it won Best in Class when it was taken to The Quail Show in Carmel, Ca. The Packard is powered by a Whisper Quiet 160hp straight 8 motor. Thank you again to Rob and Linda for participating in our March catalog photo shoot. Stay connected with California Car Cover on Facebook to see more great photos from catalog shoots and car shows.